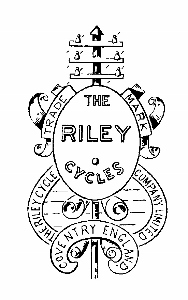 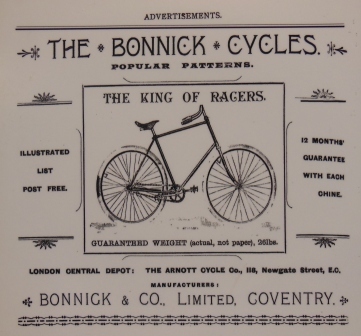 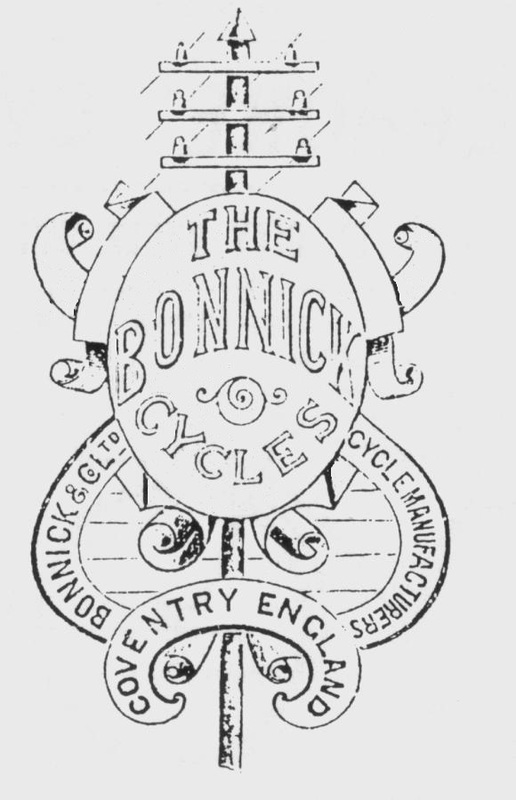 The Riley Cycle Co. Ltd. was formed in 1896 by William Riley out of Bonnick & Co. Ltd which he had purchased in 1890 when he could see the decline in his weaving business. 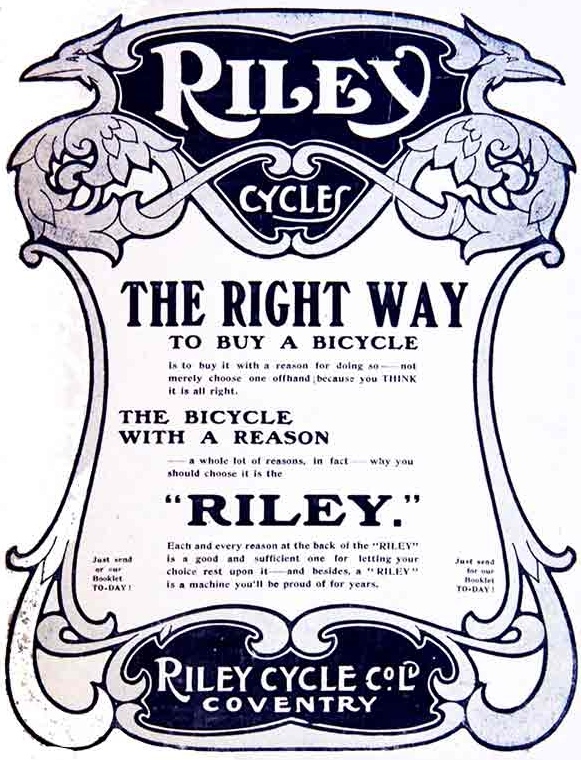 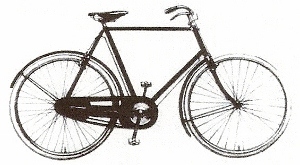 As far as I know, no Riley cycles exist and people who know much more about the subject than me confirm this, although some pictures from catalogues do exist. 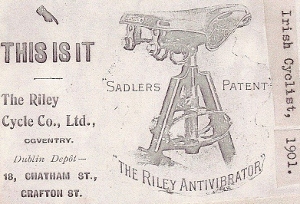 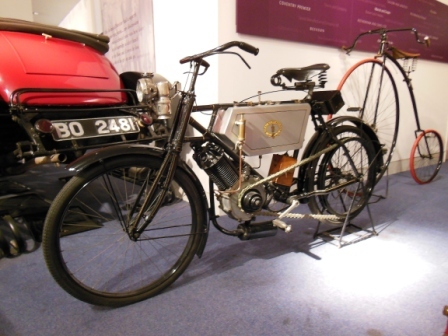 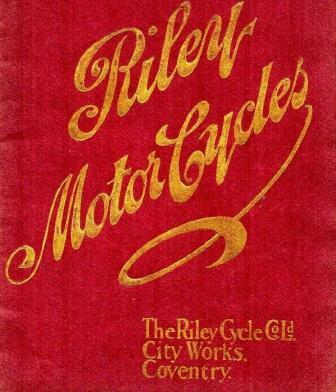 Above left - Riley cycle co. ltd. advert and right - the cover of the 1904 Motorcycles catalogue which is available to view on the NZ Riley Club website.